Apart from our dedication to achieving customer satisfaction and employee well-being, we support numerous social, sports and education projects. For an update on these commitments please refer to this page. At the end of the year, the joint schwartz GmbH and Hütte GmbH Christmas party took place at Tenne, in Eicherscheid. After a short company meeting, some of the staff decided to visit the Monschau Christmas Market, before the party started in the evening. 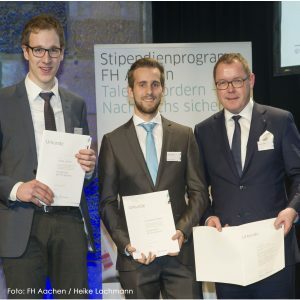 In 2019, schwartz GmbH is again supporting two students of the Aachen University of Applied Sciences with scholarships. The certificates were presented in a ceremonial atmosphere in the Coronation Hall of the Aachen Town Hall by Alexander Wilden, Chairman of the Management Board and owner of the schwartz Group. We wish our scholarship holders all the best and continued success for their studies! 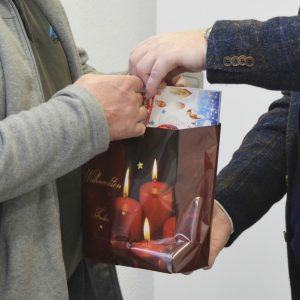 This year, Saint Nicholas was again at schwartz GmbH and brought sweets for each of our colleagues’ children. On behalf of Saint Nicholas, Alexander Wilden, Chairman of the Management Board and owner of the schwartz Group, presented the gifts to our employees. 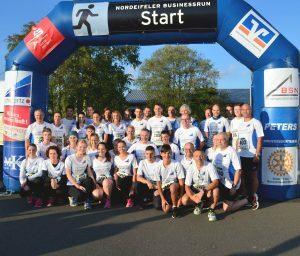 Last Friday, schwartz GmbH continued its traditional participation in the North Eifel BusinessRun. 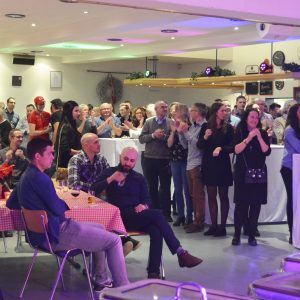 Under the slogan “Go ahead, have fun, do good”, 45 employees started the event and actively supported the Monschauer Tafel e. V., who will benefit from the proceeds of the event. In the event of serious car accidents, some passengers are no longer able to leave their vehicle on their own. In this case, the fire brigade is called upon to rescue the people from their vehicles. So that the men of the volunteer fire brigade at Kesternich always have everything ready for this type of rescue and can help as quickly as possible, they regularly practice rescuing people from vehicles.